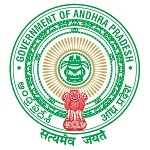 ADMHO Srikakulam 2019.Recruitment for the posts of the following in the NCD Progamme under Nodal authority of the Addl. District Medical and Health Officer (A&L),Srikakulam and administration control of the District Medical and Health Officer, Srikakulam on contract basis.Check the eligiblity and notification prior to apply for the positions. Last Date for Submission of Application is on January 22nd, 2019. Qualification: 10+2, GNM, Diploma, Bachelors Degree, BPT, MBBS, MD, Ph.D, PG, MSW, CA/ Inter ICWA/ M.Com, MBA with relevant experience. How to apply: Candidates shall download the application form the website and submit their filled-in Application forms along with the enclosures to the Addl. District Medical & Health Officer (A&L), Srikakulam. Last date for submission of application: 22.01.2019.